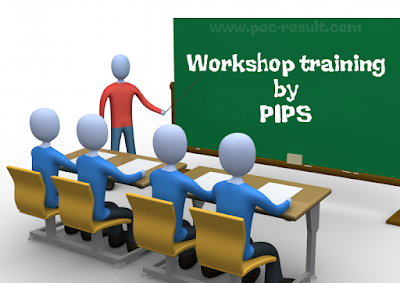 Pakistan institute of peace studies (PIPS) organized two days training workshop to explore the link between educational institutes. 36 participants attended the workshop; the participants were teachers of Islamic studies or other such course in KPK and FATA. Eminent speakers took part in the discussion with teachers and argued that they should adopt critical thinking in their teaching and research. This tool will question their own assumption so that they could not fall as prey to different ideological influences. The key speaker also talked about the adoption of critical thinking to minimize the sectarian tensions. Notable speakers like Dr. Khalid Masood, Dr. Qibla Ayaz, Dr. A.H. Nayyar and other participated and share their ideas with students. Dr. Khursheed pointed out the need for having the genuine scholars instead of knowledge quacks. He said that if the scholars will stop working on new knowledge, the knowledge that showed its relevance, quacks will artificial knowledge will come forward to fill the gap. A teacher should not be merely a teacher but an activist. He said that teacher should be activist relevant to the researches. He added that an Islamic teacher of today world has many aspects to counter. The scholars argued that teachers should not opt for one or other ideology but in reality this is a decisive call in an era of different ideologies in the world. A speaker said that task of the education institutions should be education along with research. Speaker also briefed about the use of religion in Pakistan to accommodate political and strategic goals. The former VC of Peshawar University, Dr. Qaibla Ayaz said that university should urge the students to think and must engage them in research. Dr. Qibla also said that we are under influence of many ideologies but sometimes it is necessary to learn from scratch. Dr. Ayaz pointed out towards the 80’s era, when the socio political culture of the country changed all in the name of religion. He argued that we don’t have adequate critical inquiry that’s why we adopted such ideas that were never true. Renowned Islamic scholar, Dr. Khalid Masood said that teacher should negative the concepts of diversity change and difference, instead he emphasized that diversity should be our strength. The director of PIPS said that we are still in question, how to identify ourselves. He questioned the workshop participants that why there is still a confusion that whether we are Muslim first or Pakistani? Romana Basher, peace activist pointed out the different problems that non Muslims face in our educational setup. Romana also hinted about the hate material in books and said our curriculum promotes difference as a result of which out teacher have to face problems during teaching.